Many students and prospective candidates often try to find an officially certified Human Resources Certification Institute (HRCI) study resources, however, unfortunately there aren’t any available in the market at the moment. This is to preserve the test’s authenticity and objectivity. Nevertheless, this does not mean that there are no recommendable and useful resources in the market to excel in your HR test. In this article, I am going to go over some of the most popular study guides for PHR and SPHR tests, according to professionals and previous exam takers. 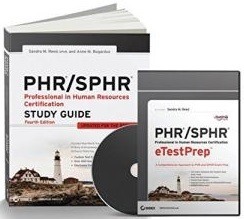 Sandra Reed’s PHR / SPHR preparation book is the most trusted and reliable book, according to the several test takers who have used it to pass their test with flying colors. The author of the book, Sandra M. Reed (SPHR), is a successful owner of an HR and consultancy. She has also written other bestselling books and comprehensive guides to help students succeed in their career aims. PHR / SPHR Professional in Human Resources Total has become the number one choice for many students, despite releasing only a few years ago. This is reflective of the quality of content in the book. There is a total of 672 pages in the book, making it a pretty extensive guide for your exam. The pages are divided in sections which cater to different studying topics, guidelines, questions, answers and other important tips that will help you ace the test. The study guide is written in a way to make the students acquainted with the exam itself, instead of just focusing on giving the relevant knowledge. There are online guides linked in the book which provide extensive information in specific topics. Moreover, there also is an eTestPrep software that comes with the guide and has 300 different questions to test yourself and find any weaknesses to improve on. I would recommend you to solve these questions after wrapping up with the study guide itself. However, do note, that you are going to find some typos in the quizzes of different sections. This might confuse you and you should be aware of the possible problem. Overall, with this book, all you need is dedication to go through it and memorize the information provided. 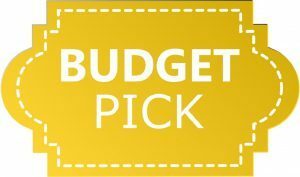 You do not need to spend money on study groups or courses, unless, of course, you prefer it yourself. 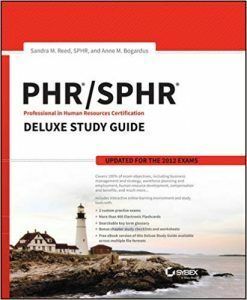 The PHR/SPHR Professionals in Human Resources Certification Deluxe is one of the popular study guide to learn and then demonstrate your HR knowledge and skills from. I feel that it provides perhaps the best value among the trending PHR / SPHR test prep books. The content in the book was curated with the HRCI’s testing in mind. Therefore, you are going to find that all the topics and information is aligned in a friendly and easy to memorize manner. The book has 656 pages and is divided into separate topics including strategic management, workforce planning and employment, compensation and benefits, employee and labor relations, and OSHA regulations. What you are going to find after going through a few topics in the book is that all the content is written with the student psychology in mind, so that it appears easier to grab and digest. There are electronic flashcards and pdfs that come with this book, which will supplement your study and allow you to brainstorm your knowledge. The practice exams test your understanding in depth and if you do well in these exams you should feel confident about doing well in the actual test. The only thing I feel that this book lacks is enough strategies for and focus on SPHR test. It looks like a well-rounded book for PHR candidates, but you would have to get another guide for SPHR to get a comprehensive grip on it. 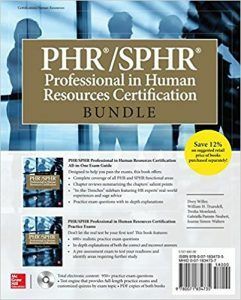 The PHR/SPHR Professional in Human Resources Certification Bundle is a project of five talented individuals, all involved in the field of HR and associated with different industries. If you ever wanted a pool of knowledge and information from different perspective, you have your opportunity with this all-in-one exam guide. The book is designed to help you ace both PHR and SPHR tests, covering all their functional areas quite thoroughly. With 1056 pages of content, you are sure to find all and every relevant information regarding the tests in this book. 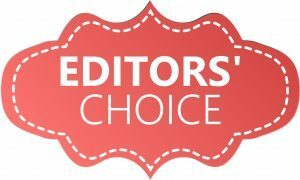 Each chapter in the guide has a summarizing points section at the end and the side bars throughout each section gives a real world usage about the topic, right from real HR experts. The book is full of in-depth explanations that will not just give you information, but also develop your core concepts for use throughout your career. After you are done with learning, you can practice these concepts in the practice exams. There are over 600 questions in the practice exams, which will cover a chunk of possible concepts that can be tested in the actual exam. You can check your answers at the end, with an explanation for both the right choices and the wrong choices. I would recommend you to give the pre-assessment exam after you are confident of your knowledge. The exam is designed to be like an actual HR certification exam and will give you the hands-on experience so that there is nothing to surprise you when you appear for the real exam. What I found most students to complain about this book is that it is quite tedious to finish, due to the ample information provided. Moreover, the lack of pictures and charts can make it boring to read. I also found some mistakes and inconsistencies in the explanations of test questions, so I would advise you to not trust it blindly. The PHR Exam Prep: Professional in Human Resources is one of the good books to prepare for HRCI certification. The book has been written by Cathy Lee Pantano Winterfield, who has 25 years of experience in HR and is the president of NovaCore Performance Solutions. The book focuses on providing not only studying material but also exam strategies and expert insights, all compactly produced within only 624 pages. This makes the PHR Exam Prep a very handy book to keep around. The author aims to give an intellectual experience similar to what you may get with a tutor, but several times cheaper. The study guide has notes, tips and cautions after every topic to give you a comprehensive understanding and fill up any weaknesses that you may have. It aims to give you a stronghold of not just some, but all of the functional areas of the exam. This is why there are several tricks mentioned along the pages, to keep you aware of how examiners can try to throw you off. After completing every section, you will be able to solve the practice questions that will acquaint you with the test style and type of questions you should be expecting. While this guide it’s the nail on the head for most aspects of the HRCI certification prep, I feel that it is still not as comprehensive as other options in the market. 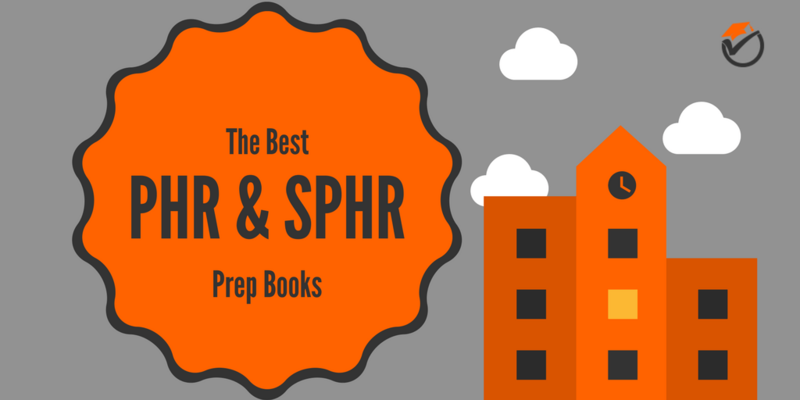 Moreover, if you are preparing for SPHR, you would require a lot of supplementary material and cannot solely depend on this book alone. 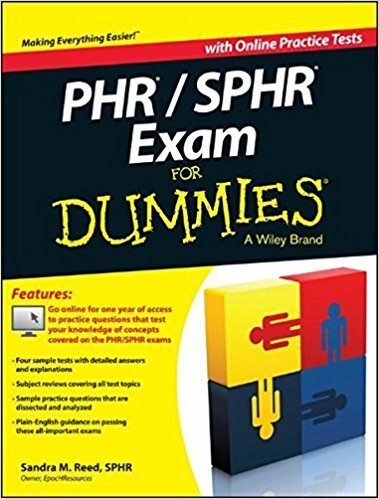 The famous For Dummies series has a PHR and SPHR exam guide. It has been written by the aforementioned accomplished writer, Sandra Reeds. This book is a great option for people who are not looking to spend heavily on study resources. 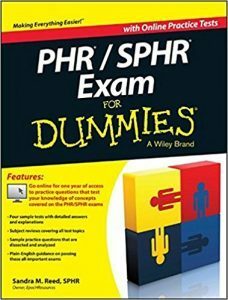 The PHR SPHR Exam For Dummies book is a good option for a concise walk through over all major topics in an HR exam. I do not suggest it for people who previously do not have any knowledge and are looking to start HR exam preparation for the first time. There are 312 pages of content in the book, which shows that it does not go as deep in to the details as some of the previously mentioned books. The guide teaches you about the core concepts in Business Management & Strategy, Workforce Planning & Employment, Human Resource Development, Compensation & Benefits, Employee & Labor Relations, and Risk Management. 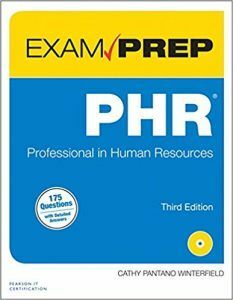 The For Dummies guide for PHR and SPHR prep will give you a sufficient knowledge to take part and perform well in the exam, given that you have good basics previously. Since it is written by Sandra Reeds, who is an authority in HR field, the content is quite informative and accurate. The book supplements the information with 4 original practice tests, based on the real HRCI exams. Two of these exams are already present in the book, while the rest of the two can be found online. Besides the tests, there are also several practice questions, with detailed answers to help you in case you find yourself stuck with them. Like the other For Dummies books, this one also helps to break down concepts for easy understanding and memorization. I must remind you that while reviewing this book I found quite a few problems that are worth mentioning. First of all, despite the publishers saying otherwise, I found that some of the test exam questions were not similar to the usual questions style found in the exam. Secondly, there were some noticeable typos in the book, which might confuse a first time reader. I also found students reporting that they could not access the online tests easily, as the servers were overloaded. I have been researching over HR books and surveying students about their opinions regarding the studying materials in the market at the moment. What I realized is that there are very few guides that can independently prepare you for the HRCI certification test. 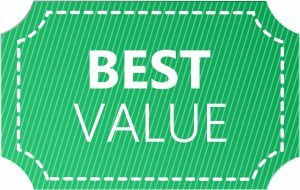 I have listed the best options available at the moment in this review and hope that you will find at least one of them helpful.